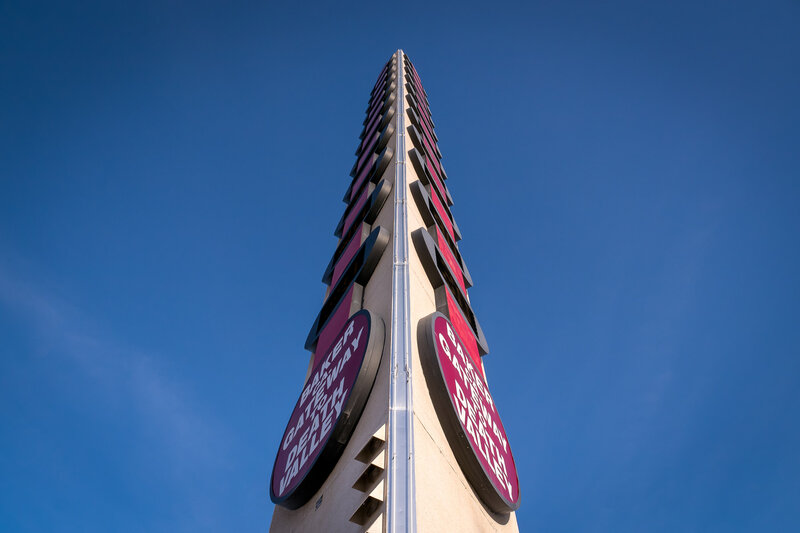 The landmark “World’s Tallest Thermometer” rises into the clear blue sky over Baker, California. 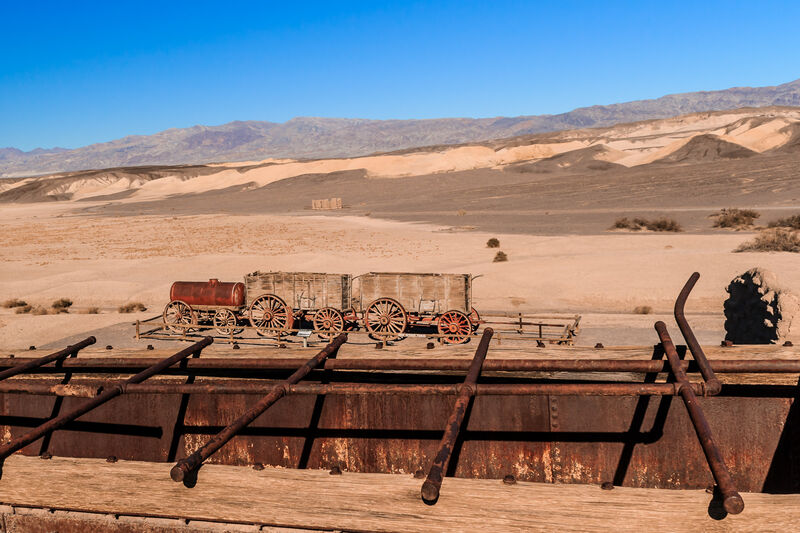 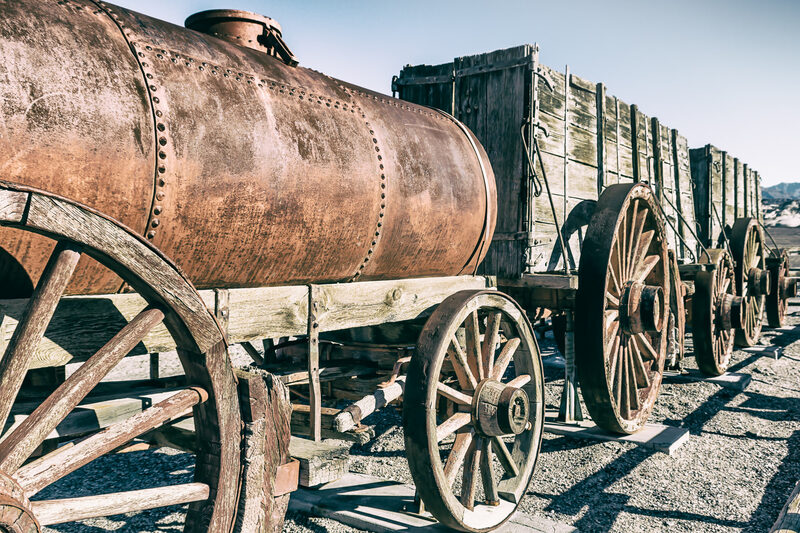 Old wagons for hauling borax on display in Death Valley National Park, California. 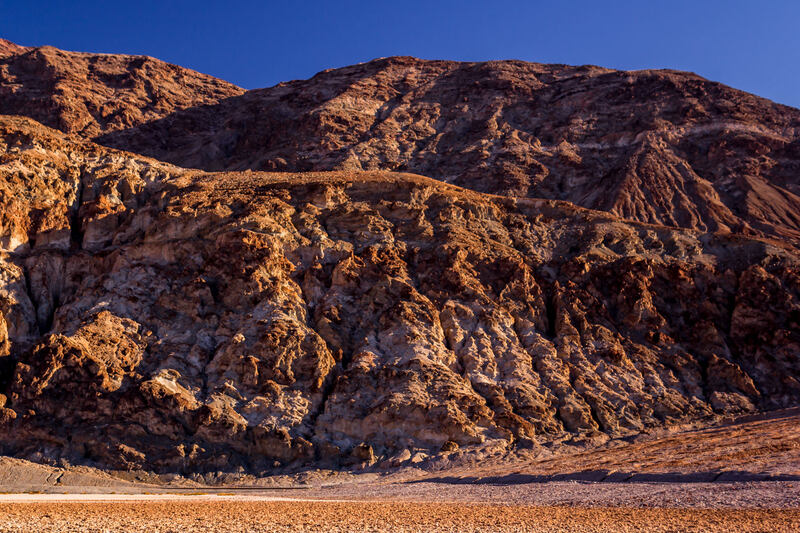 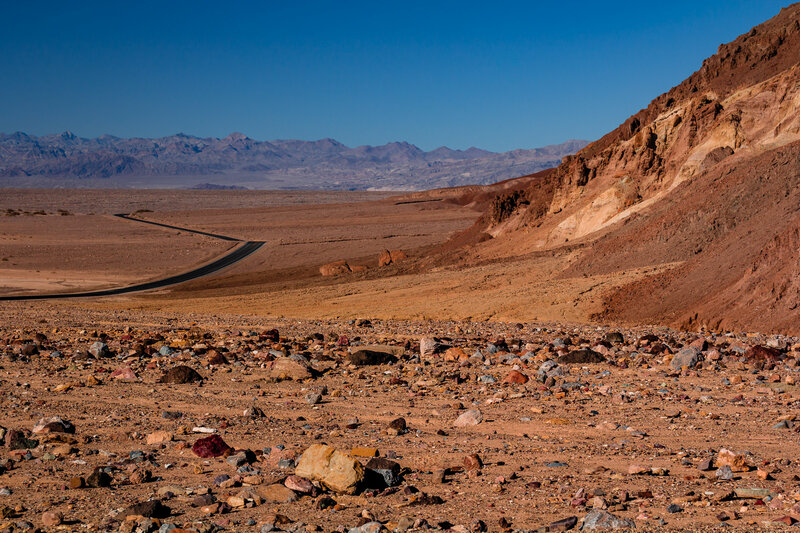 The arid landscape of California’s Death Valley National Park. 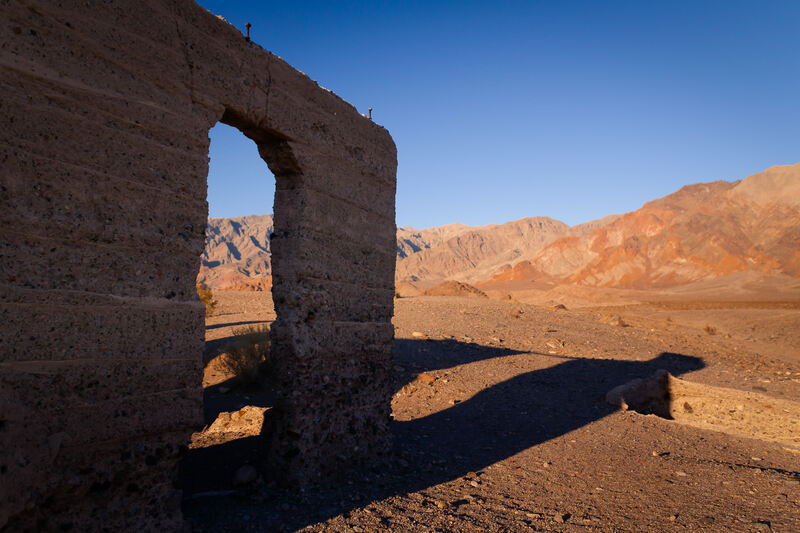 The Ashford Mill ruins cast long shadows in the dry desert at California’s Death Valley National Park. 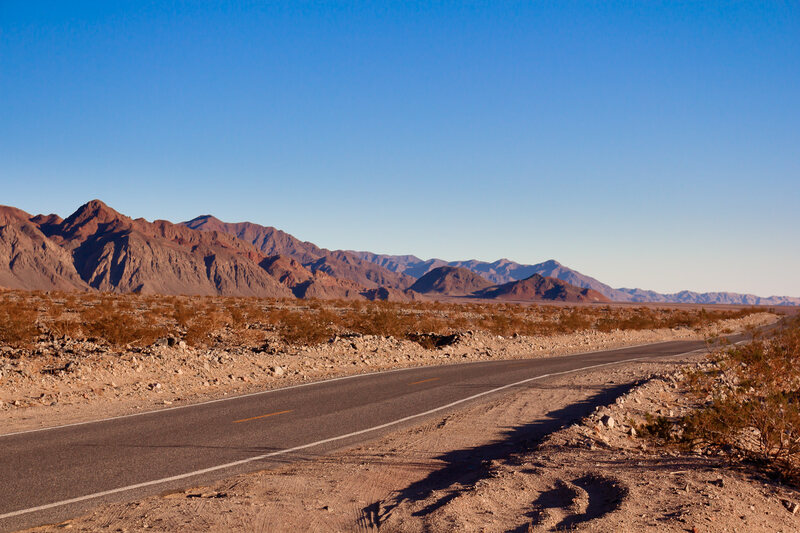 A lonely desert road leads through Death Valley National Park, California. 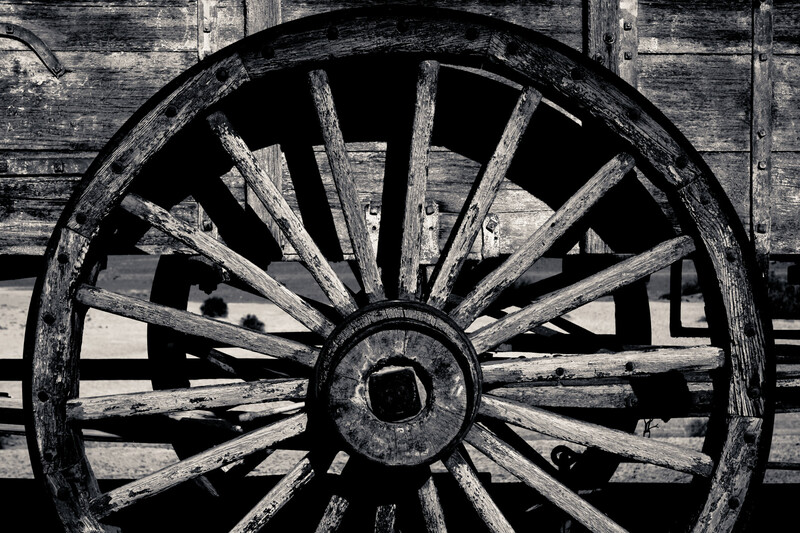 Detail of a wheel on an old borax-hauling wagon train on display in California’s Death Valley National Park. 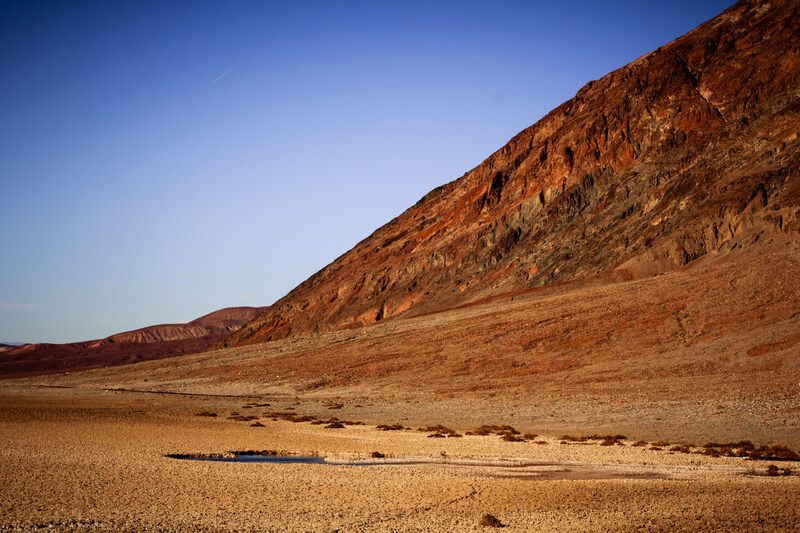 The alien-world-like salt flats at Death Valley National Park’s Badwater Basin—the lowest point in North America at 282 feet (86 meters) below sea level. 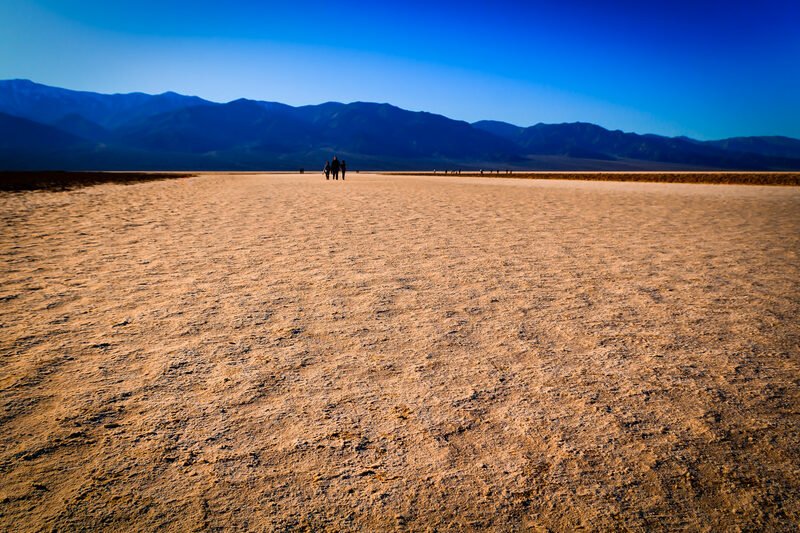 Visitors walk the salt flats at Badwater Basin—the lowest point in North America—in California’s Death Valley National Park.